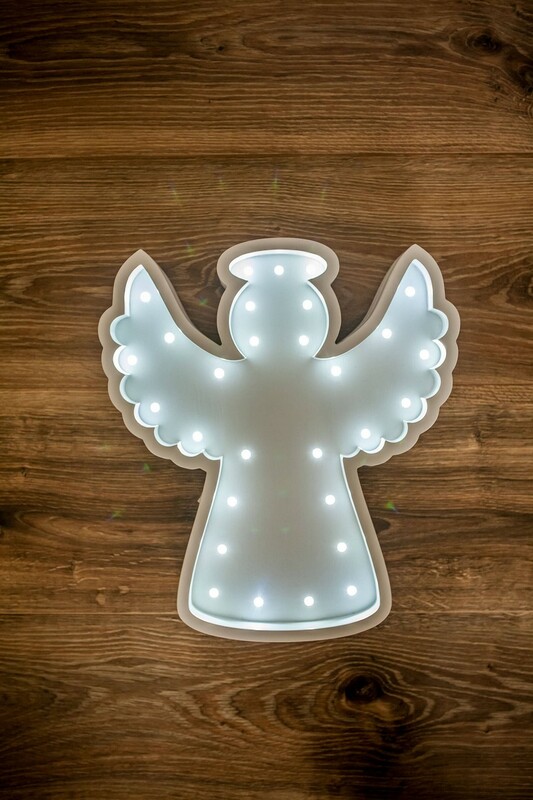 Take away those bedtime stresses with the Angel Decorative Night Light. The perfect addition to his or her nursery or playroom, keeping your little bundle feeling cosy and content all night long. This marquee light is made from birch plywood and it’s perfect for baby room decor or as a gift for any person, as a baby shower gift. 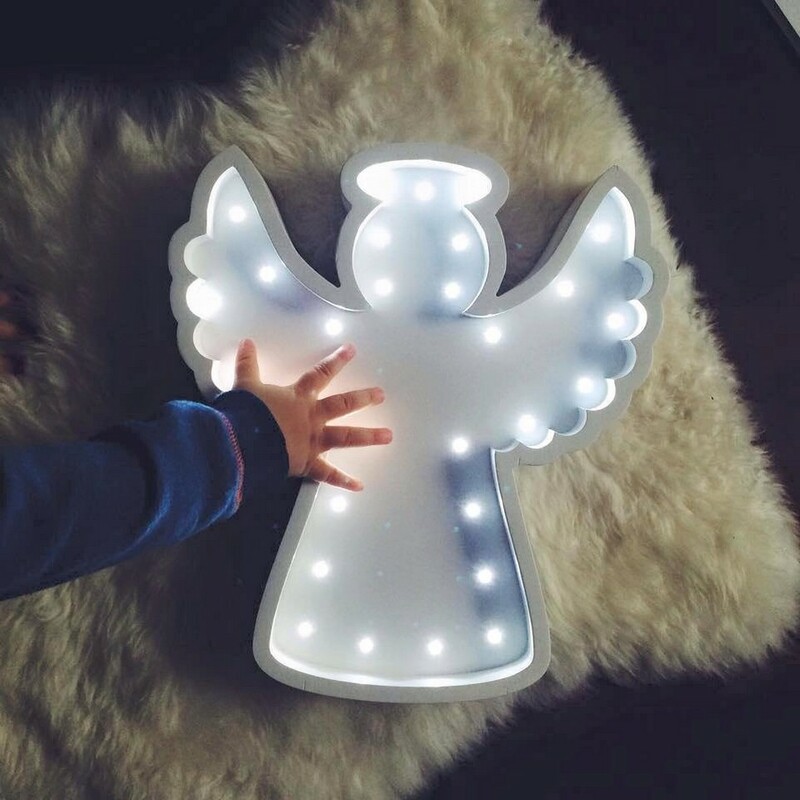 A childhood treasure for generations to come, this nursery lamp works on the simple batteries, which is very convenient because you can place it anywhere you want. 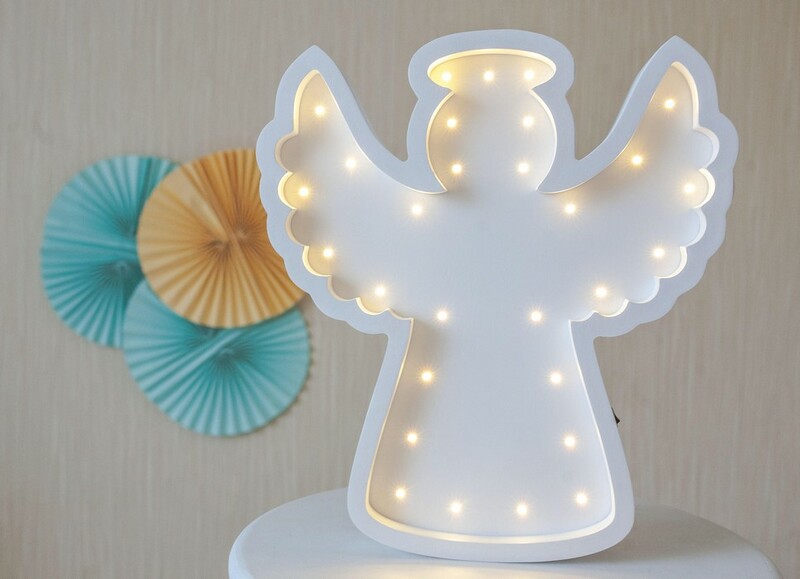 This children’s night light can be stood free-standing or wall-hung making them the perfect gift. With a simple on-off switch, this LED night light creates a warm soft and soothing glow. 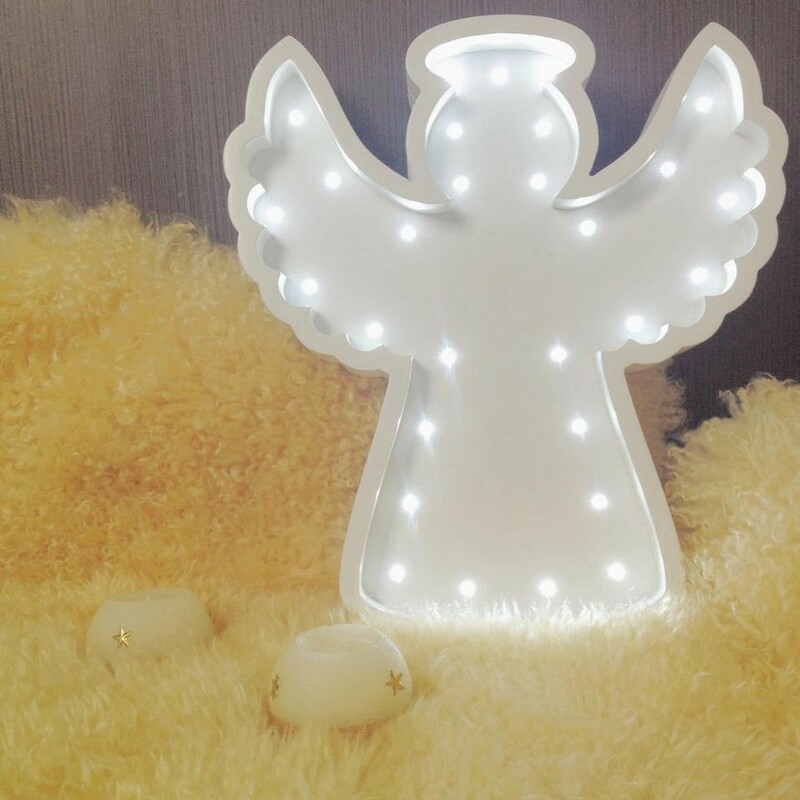 A wonderful night light to set a calming mood in any child’s bedroom. It looks lovely on a bookcase or chest. 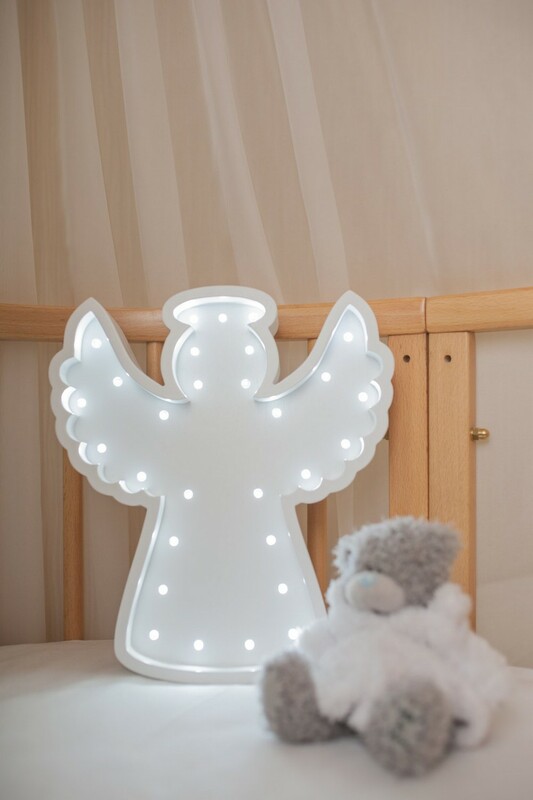 Painted with Italian acrylics, this decorative night light is perfect for making any room of the house cosy but we love it as a nursery decoration or night light. Because there is a LED-light in it, the material doesn’t get hot and can it be safely used by children. 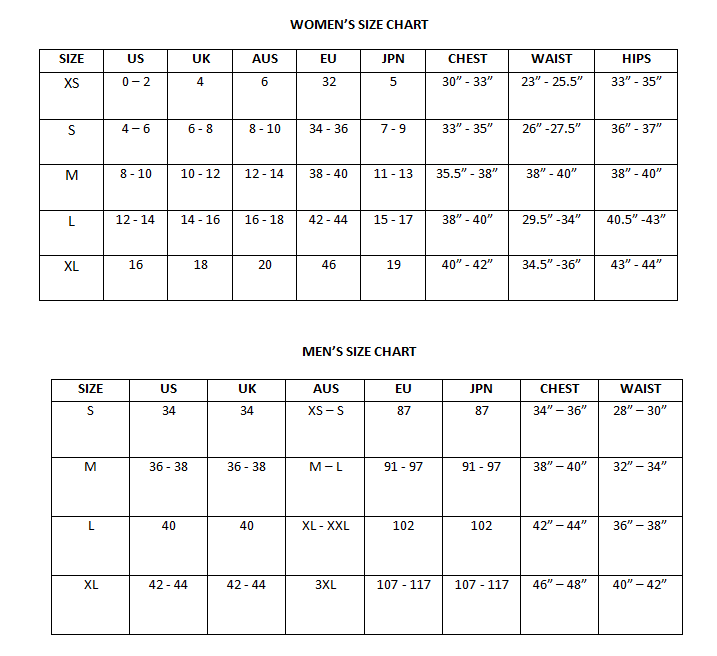 Care Instructions: Wipe clean with mild detergent and/or disinfectant. Use clean cloth or sponge. Do not launder or submerge in any liquid.